Another wonderful guest post for you this week! Weekly Challenge #195: "Turning Old into New"
My name is Sandy Hunter, and I’ve been a certified Zentangle teacher since February of 2012. Like all the tangle fanatics before me, I’ve tromped a well-worn cyberpath to that cozy little corner of the internet that is the Diva’s Weekly Challenge blog… and now she’s offered me the chance to plop down by the fire in her figurative living room and uncork this week’s challenge! Hold on to your fuzzy socks! 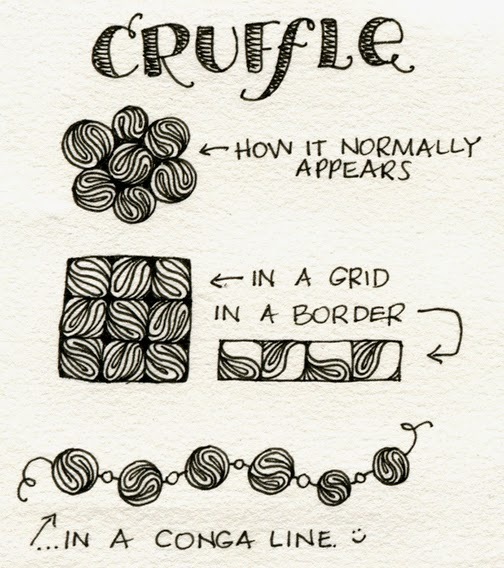 Imagine your favorite go-to tangle pattern. Something you love; something you draw all the time. Is it a grid-based pattern? Or is it a ‘scatter’ pattern, that you can just use randomly to fill up a space? 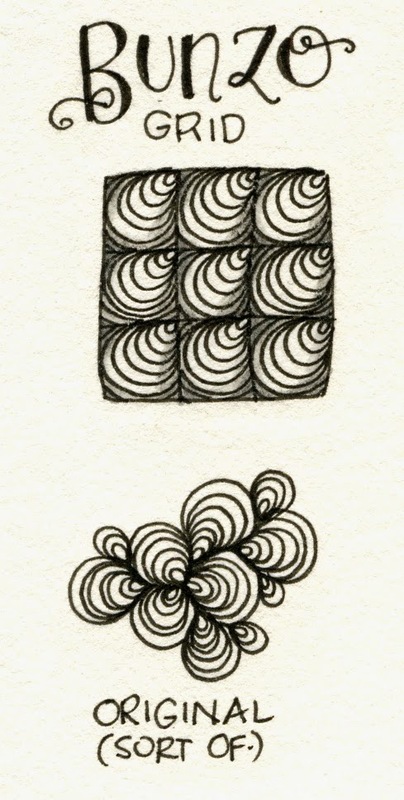 If nothing comes immediately to mind, go poke around on tanglepatterns.com …or pinterest. 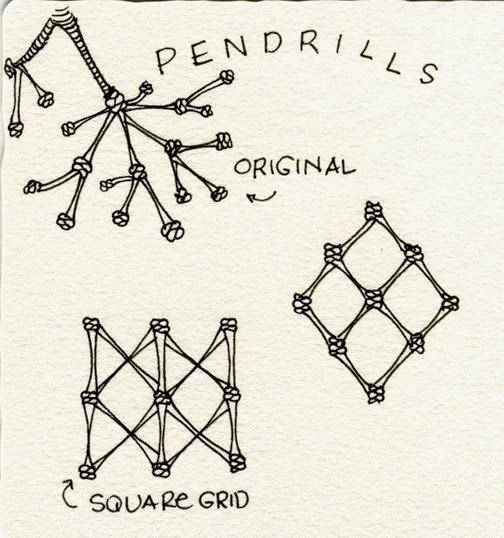 They’re gold mines for tangle patterns. 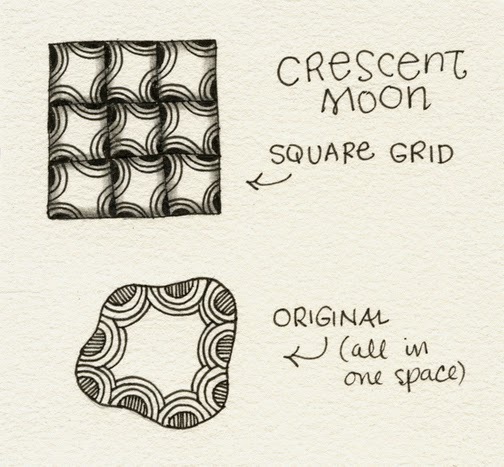 If you picked a grid-based pattern, pull it out of the grid and make it a freeform one. 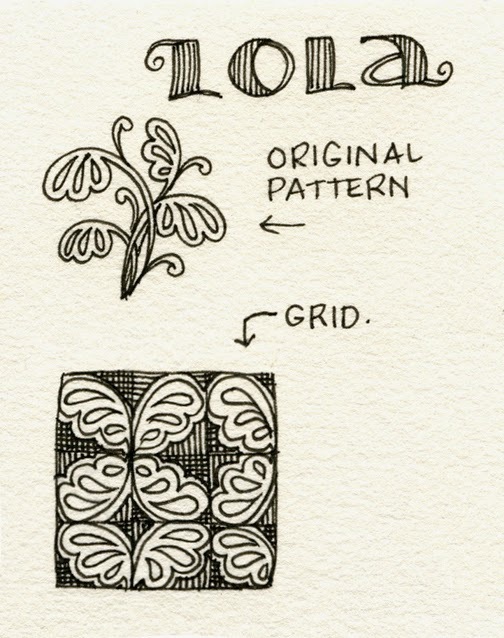 If it’s a freeform pattern, make it a grid-based pattern. 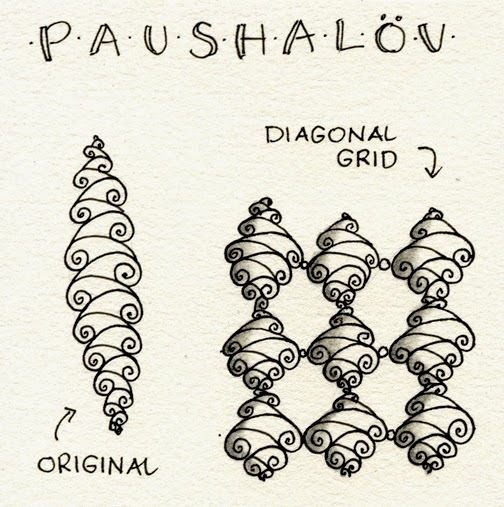 That could mean several rows or a single row, drawn as a border. The idea is to change the structure of a pattern, while still retaining its basic elements. Don’t worry about getting every part of it exactly “right”. If you’re having a good time and you’re drawing something you like, it’s perfect. i'm currently trying to decide what to do about the challenge slideshows (read here)... if you have any ideas i would love to hear from you! Sandy, what a fun challenge! Thanks so much. ooh, what fun, sandy! trying this tonight! But really, amazing challenge! I'm probably going to end up doing at least 5 monotangles...thanks in bunches! Thank you Sandy, I love this challenge. Looking forward to play with the idea tonight when my husband is watching football and I sit upstairs in my small room, just drawing in silence. Love this challenge of thinking both in and out of the box! :) It was a fun one to do and I think something that I will continue to explore! 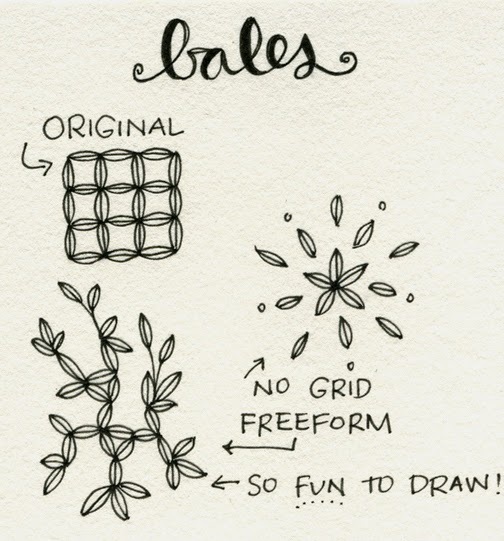 This was fun with a capital F. I liked the idea of freeing up grid patterns and tried a few I hadn't used before. 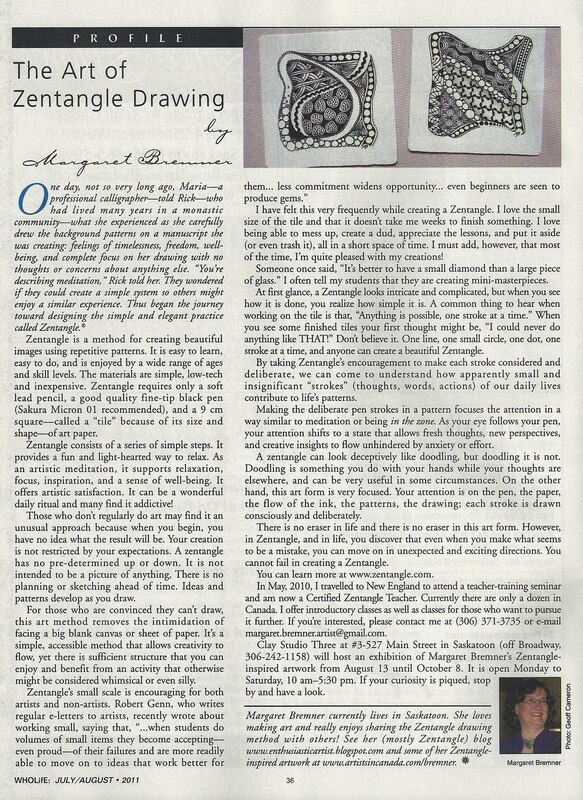 I eventually settled on Snagz and loved it. Thanks for the Challenge, Sandy. Interesting and fun challenge! Thanks, Sandy! Challenging for a newbie...but such an interesting concept! Definitely makes you think outside the grid. What a good challenge! It would be good to come back to again and again. Thanks Sandy. Great challenge. I met tangles I have never seen before, and started looking at old ones in a different way. This was a fun challenge, thank you Sandy! I'm sorry I put in the wrong link at first and I don't know how to take it out. Really sorry about that. And a very movint little video of the Diva. I recognized a lot of my own feelings there, as many of us I'm certain. This was a great exercise. Thanks Sandy! This has been one of the most fun challenges I have done in awhile. I plan on playing some more with this idea. Great job!! Sandy, with Thanksgiving time going on, I just want to give you a big shout out,........"THANK YOU!!!" Thank you for filling in for the Diva, and giving us such a brain stretching, challenge! I loved it, and want to play with it some more!!! Have a Happy day!! This is my first Diva Weekly Challenge entry! I'm so excited!!! I only got part of what I wanted to submit done, but such is life and I'll do better next week.